Join the caring and selective parents who rely on Everything Summer® to find the summer camp that is the “best fit” for their children. Camp is a major financial and emotional investment in your child’s development and a memory which will last a lifetime – but choosing the right camp for your child is pivotal for putting them in a position to maximize this growth opportunity. Planning for this enriching and meaningful experience requires a great deal of valuable time, knowledge, and research in order to establish the screening criteria. Without firsthand knowledge of camps, it can be nearly impossible to distinguish one camp from another to ensure the very best fit. Everything Summer has an unparalleled level of experience in matching campers with right-fit summer camps. 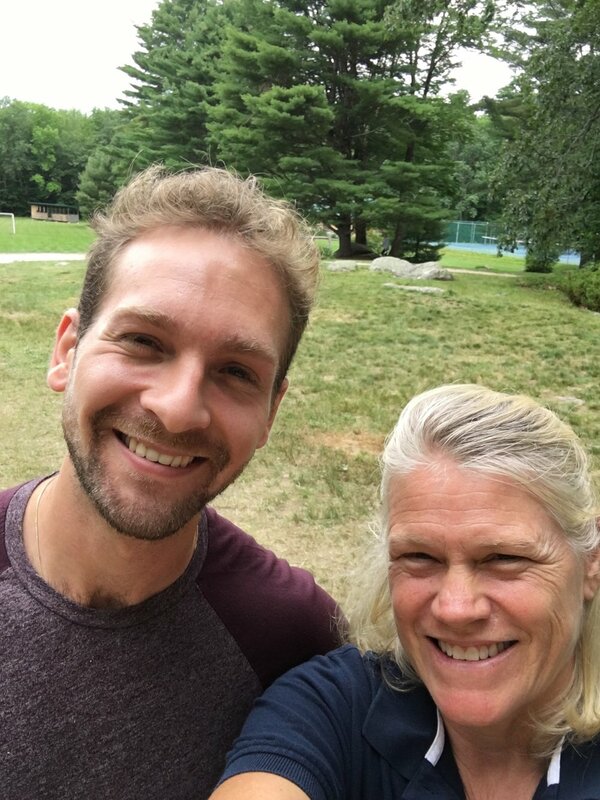 Jill Tipograph has more than two decades of expertise in identifying summer camps that best meet the needs and goals of your child, and Jake Schwartzwald has nearly a decade of experience in the summer camp arena. We work closely with families to help them find their perfect summer camp – which will lead your child through enriching, fun, and meaningful experiences, into a productive, self-confident and independent young adulthood. Jill consults with the boys at camp, getting some on-the-spot opinions. 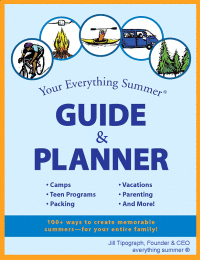 Over the course of 20+ years we have researched over two-thousand camps and summer programs, helping families worldwide plan the “right” summer. Our unique Everything Summer evaluation process is focused on safety, well-being, family values, and “personality fit” between kids and camps or summer programs – there is so much more to camp than identifying “fun” activities, and we make our camp recommendations with a holistic personality fit in mind. Our Everything Summer team visits camps in season and personally interviews directors throughout the year to understand each program’s profile, culture, and priorities which enables us to give first-hand insights to client families. There is a difference between Everything Summer and referral services. We are the only independent summer consulting service for families. We do not accept any placement fees from camps. We are unbiased and only have our clients’ best interests at heart. Jill and campers on the cabin porch, enjoying a sunny afternoon. Our customized and individualized process includes targeted questions, goal exploration, and need analysis. This crucial information guides our research, and enables us to make recommendations that are highly relevant and applicable to your child so they have a right-fit camp experience.